They will all drive up to 10' long posts. The diameter of post that can be driven is restricted by the size of the "H" beam. It is about one inch smaller than the outside width of the "H" beam. 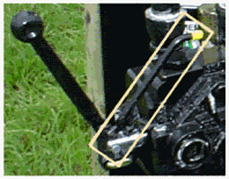 The model number for the Postdriver.com and Shaver drivers (8, 10 or 12) is the outside width of the "H" beam. For WorkSaver drivers, the 16, 20 and 24 are similar to the 8, 10, 12 drivers. The Shaver made drivers are designed to front mount onto a tractor frame. KingHitter and WorkSaver drivers don't front mount. If you have a Shaver driver built 25 years ago, you will see a number of improvements. 1. The New Safety arm holds the post in the driver. 2. The Valve Safety Lever requires you to pull it back as well as push the hydraulic control lever forward to drop the hammer. 6. Stabilizer legs are now standard for 3pt and skid steer mounts. This makes it easier to drive posts straight and allows the use of smaller tractors - 22 HP for the 8" driver. The legs make storage and hook-up easier. 7. The Hydraulic tilt option replaces the hand cranks. It's hard to go back to the crank tilt once you have used this. 9. 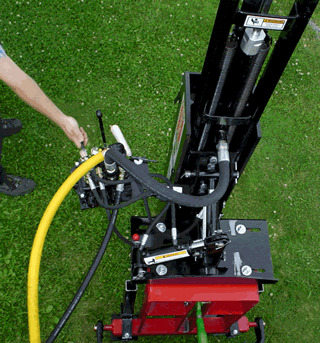 Skid steer mounting w/ hydraulic motor powered pump. Some skid steers must have this option. This makes it very quick to attach and remove the driver. This allows it to be used for handling posts and drilling holes on the job. 10. Side shift beyond the rear tractor tire option. The "Positioner" will allow you to drive a tractor straight along the fence line while driving posts. It is also easier on the tractor driver's neck and a load of posts can be pulled at the same time. 11. 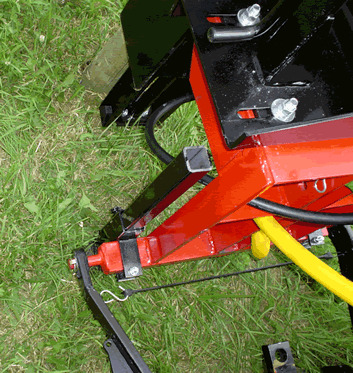 The Hydraulic Stabilizer pad option means you don't have to keep raising and lowering the 3 pt hitch between posts. You may be able to raise the driver higher for tall posts. The driver can be stabilized better on rough ground. 12. The Concrete Breaker option is a lot easier to use than a jack hammer. 13. 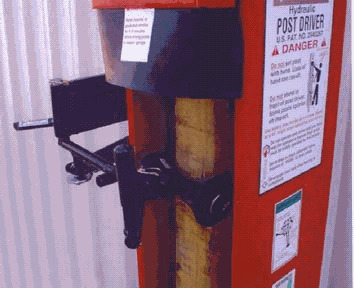 The steel post holder keeps them centered in the driver and gives you a handle to hold. 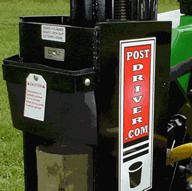 Most post drivers hit the post harder if the return line goes directly into the "fill hole" for adding fluid to the tractor. The drivers are controlled by the person at the post.